Nothing to Hide, The False Tradeoff Between Privacy and Security By Daniel J. Solove | What Would The Founders Think? Daniel Solove's book is informative and disturbing in equal measures. He reveals a great deal about the way technology empowers government to gather private information virtually unhampered by the Fourth and Fifth Amendments to the Constitution. It is not a difficult book to read, but readers may find what it says hard to forget. The author is a law professor but his prose is neither dry nor burdened with legal jargon. This book is for the general reader. As the subtitle indicates, the author contends that security need not require sacrificing privacy. It is not an all or nothing proposition. Solove contends that problems have to be correctly defined before solutions can be found to balance the concerns of both sides. Government efforts to advance security usually trump privacy concerns because the need for security is clearly understood while privacy arguments are abstract and tend to be framed as individual interests versus the good of society. The author argues that privacy is a societal value as well as an individual one. Society involves a great deal of friction, and we are constantly clashing with one another. Part of what makes a society a good place to live is the extent to which it allows people freedom from the intrusiveness of others. 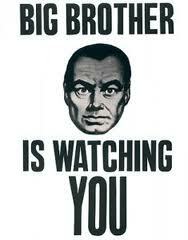 A society without privacy protection would be oppressive. When protecting individual rights we as a society decide to hold back in order to receive the benefits of creating free zones for individuals to flourish… Privacy isn’t the trumpeting of the individual against society’s interests but the protection of the individual based on society’s own norms and values… When the law protects the individual, it does so not just for the individual’s sake but for the sake of society. Privacy thus should not be weighed as an individual right against the greater social good. Privacy issues involve balancing societal interests on both sides of the scale. He examines the value the Founders placed on privacy. Henry was more prescient than he could have imagined. Government has now inserted itself into every one of the aforementioned areas and more. Restraints are specified in the Bill of Rights. The Fourth Amendment to the Constitution prevents government from conducting “unreasonable searches and seizures” and the Fifth Amendment protects individuals against being compelled to incriminate themselves. Solove’s point is not that the Constitution is outdated or, as some insist, should be turned into a “living” document with no real meaning or heft, but that we have failed to keep faith with the principles it embodies. What is lacking is oversight and regulation to protect citizens’ privacy from invasive government abuses. The author provides a brief but revealing history of privacy vs. security in America. He focuses on the rapid advances of technology and the failure of current law to provide judicial oversight (e.g. warrants, probably cause requirements) and regulations that would provide transparency and hold government accountable for its actions. To avoid being outmoded when technology evolves, laws should be built around general principles rather than specific technologies,” he writes. “’Judicial routines’ and ‘legal rules’ …make up the cornerstone of due process and the rule of law—they are the central building blocks of a free and democratic society. As the author explains, technology enables the government to amass a great deal of information about you without ever darkening your doorstep. Your cable company knows what movies and TV shows you watch, the phone company knows the numbers you call, Amazon knows your taste in books. Your health data is kept by your insurance company, the banks have your financial and credit card information. Your political affiliation, magazine and newspaper subscriptions, what blogs you frequent and your Internet searches are all out there, most of it without Fourth Amendment protection. He examines the various arguments that favor security over privacy — and explains why they are based on false assumptions. “I’ve got nothing to hide,” is a frequent rejoinder when individuals discuss privacy intrusions. In Britain the government has installed millions of public-surveillance cameras in cities and towns, which are watched by officials via closed-circuit television. In a campaign slogan for the program, the government declares: “If you’ve got nothing to hide, you’ve got nothing to fear. Solove responds: “It’s not about having anything to hide; it’s about things not being anyone else’s business.” It’s about changing the balance of power between government and the governed. The problem isn’t only information collection, it’s information processing. It’s not knowing what data the government has collected or, in many cases, even that it has been collected. That means errors due to mistakes in identity or bureaucratic carelessness cannot be challenged. Would the government amass information with pernicious intent? Solove explains that even before technology had advanced to its current levels, government did just that. The incremental shrinking of privacy rights due to ever more invasive technologies troubles this reviewer. Suppose the enhanced ability to amass data, unencumbered by the rule of law, is combined with a political ideology that views government’s role to include managing the way people think. Government agencies already require diversity training for employees along with various other topics of ideological reeducation. Some high schools now provide tax-supported Planned Parenthood workshops in which students learn to examine their values to become more open to gay, lesbian, and bisexual lifestyles. Gov. Brown of California just signed a law that requires California schools to teach gay and lesbian history K-12. Imagine how much more efficient such efforts could be if combined with data about family religious and political affiliations. The extent of executive power has been in contention since the founding. Presidents have often sought to expand their powers, usually in times of crisis. The author writes that where the boundaries are drawn goes to the heart of what kind of nation we are and what kind of government we want. 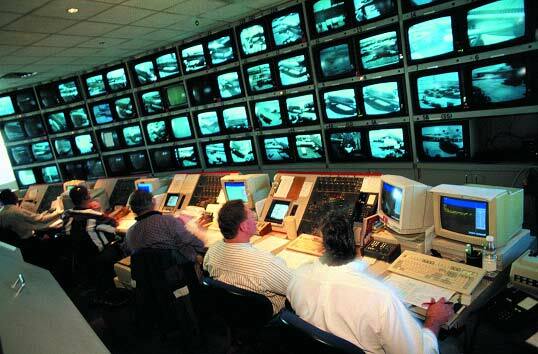 Solove believes that national security needs can be met without sacrificing privacy. … Establishing an optimal balance between security and liberty… may not promote security with maximum efficiency. That is one of the costs of living in a democracy as opposed to an authoritarian political regime. The executive branch may be the appropriate branch for developing security measures, but that does not make it the most adept branch at establishing a balance between security and liberty. According to the author, his book isn’t meant to end the debate. There are many questions still to be resolved. Readers may find, as did this reviewer, that they continue to think about the issues the author raises long after putting the book down. Whether it’s national security or the alleged security of the entitlement state, Alexander Hamilton was right.